Artist Trading Cards were the perfect start to my HS Art Class this year! On the first day of art, we had fun experimenting with different mediums and creating a small artwork that was a reflection of us! This lesson can be adapted to upper elementary and MS Art classes! 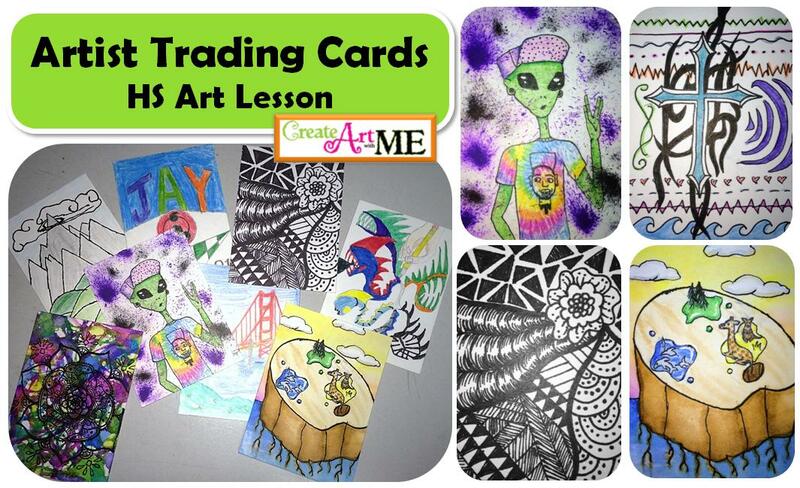 Objective: Use various art supplies to design & create an Artist Trading Card that reflects YOUR personality, imagination, hobbies or interests. FRONT: Draw or paint a design that is a reflection of you in some way. Have fun experimenting with different mediums to create your design. Evaluation: Visual-did students employ creative strategies and explore different mediums to create an artist trading card that was a reflection of themselves?